It’s good and well that you’re on social media, but take a step back and do some proper planning to become successful. Here’s a simple approach to planning – not much different to the marketing planning that you have been doing for years. What is the company plan? What are the marketing objectives? Whatever it is, your social media plan is only successful if it is aligned to the business. Let’s stress this point – even if you’re getting a zillion likes on Facebook, it means little unless it directly supports the company strategy. This is a great control because you now have a framework. Whatever social media ideas you or your agency might have, if it does not fall within the framework then turf it out. 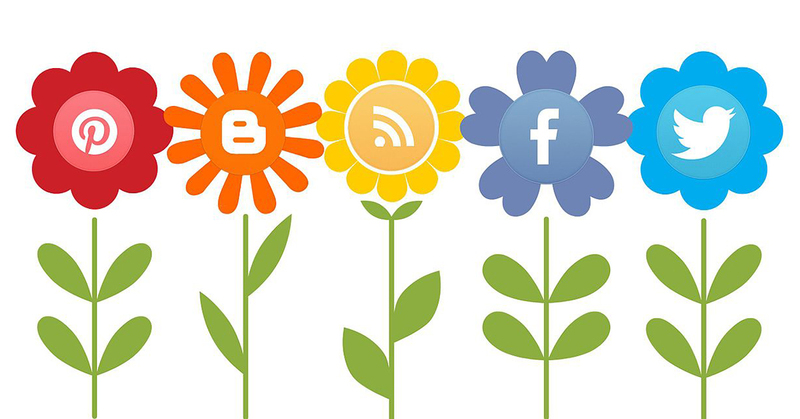 Which social media channels will have the best chance of meeting the objectives established? Facebook? Instagram? Twitter? LinkedIn? A combination of these social media channels? Where is the logical fit? Do not make a blanket social media decision. For example, you might decide to use Facebook to create local awareness in the area where your new branch is opening but what about working LinkedIn to profile the Regional Manager among local business people? It may sound obvious but at this early stage, make sure that you know what target audiences your company is trying to reach. What job must that social media channel do for you? Of course, we will all nod heads at ‘revenue generation’. But sometimes you need to build awareness and credibility before the revenue starts to flow (unless you’re selling the zero percent home loan). In this instance, think of social media as ‘digital PR’. How many likes would I like? Impressions? Downloads? Visits to website? Company follows? What will it take to achieve my objects? This is painstaking work but it must be done. It’s unlikely that you’ll ever be 100% correct but you need to set goals. You now have a whole bunch of related information converging and you’re starting to see the full picture emerging. You have moved the company’s social media effort to business logic. Your social media job is starting to become meaningful. Social media is getting very close to the business. Each of these five planning stages is as important as the other but here comes the crunch. You’ve made all the logical decisions so far but what will it take for the target audience to connect with your social media content? You’ll need to understand what makes your target audience tick because you have seconds to attract and hold their attention. To do so, you’ll need to understand your brand. What is the DNA of your brand? Frankly, with social media being so competitive today with little or no barriers to entry, understanding brand strategy has never been more important. A good digital agency will help you with your social media content plan, but if you’re just using a copy writer and designer, you’ll need to make sure they’re very in tune with your brand. A good idea is to start at the most important part – your target audience. Start with the end in mind. Visualise them sitting with their mobile on their Facebook page. What is it that you want them to feel when they see your post? What do you want them to think? What do you want them to do? Once you have answers, you’re ready to create content. You need to be out in the market consistently and so you need to plan. We are essentially talking a project plan. Who is going to do what? By when? What is the budget allocation? What are we going to boost? Who is going to monitor or moderate? What is the policy around responding to comments? What is the frequency of posting content? What posts go live – don’t wake up one day and decide that you need to get a post knocked together for Thursday. This is not a tick box exercise. Your social media plan is supporting a business strategy, it’s creating an environment for the sales team to launch into, it’s creating a market for those new products, its introducing the community to that new branch office. It’s serious, it’s hard work and it’s exhilarating. Many people fail to give their social media plan a fair chance of success by failing in steps 1-4. Resourcing your social media plan is vital – it’s about tight organisation. Of course, once you are fully resourced, organised and running smoothly, it goes without saying that you’ll need to measure the results against the objectives set. This too goes under the banner of resourcing your social media plan. While the 5 Social Media Steps appear simple enough, when one looks beneath each header one begins to comprehend the complexity of so many brand and marketing disciplines converging into your area, the social media desk. You have the wonderful opportunity of not only mastering the social media channels but also becoming a digital brand and marketing professional in its fullest sense.